George Arden was the assistant surgeon of the 12th Sussex Regiment. 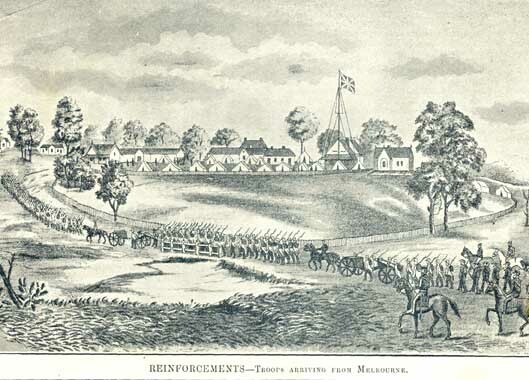 "I was in company with the detachment of the 12th Regiment proceeding to Ballarat the latter end of November last, the detachment was commanded by Captain Atkinson. On the night of the 28th about 9 or 10 o'clock we got into the diggings. We had drays and it being quite dark and the horses jaded we were marching very slowly.